Our economy may have recovered from the Great Recession--but not our economics. In The End of Theory, Richard Bookstaber, one of the world's leading risk managers, discusses why the human condition and the radical uncertainty of our world renders the standard economic model--and the theory behind it--useless for dealing with financial crises. What model should replace it? None. At least not any version we've been using for the past two hundred years. Instead, Bookstaber argues for a new approach called agent-based economics, one that takes as a starting point the fact that we are humans, not the optimizing automatons that standard economics assumes we are. 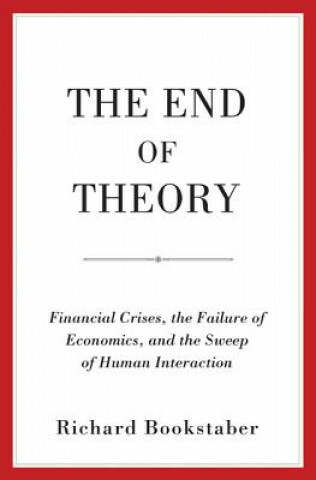 Sweeping aside the historic failure of twentieth-century economics, The End of Theory offers a novel and innovative perspective, along with a more realistic and human framework, to help prevent today's financial system from blowing up again.